Coming to you with a new beauty add-on to the Benefit Cosmetics line-up. The good thing about working for Benefit is that I am lucky enough to get every new product before it's release, test them out and can then blog about it and tell you my honest thoughts. 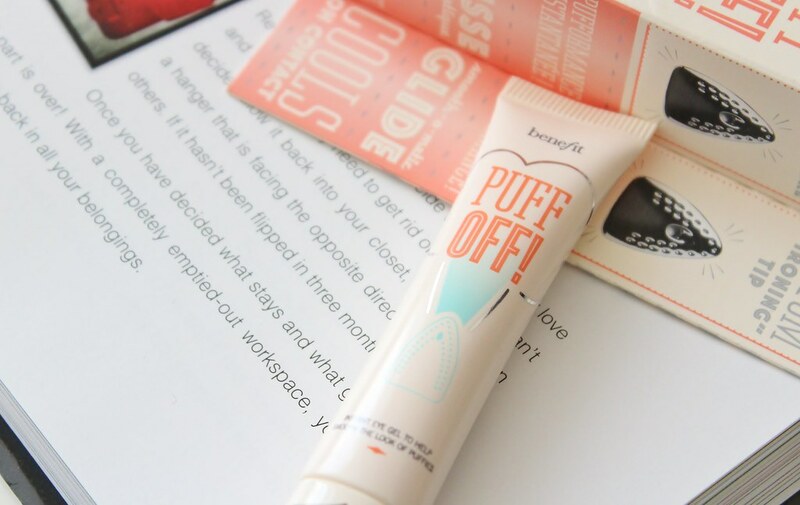 Benefit Cosmetics 'Puff Off' Instant Eye Gel, (Yes I know, silly pun but that's Benefit for you!) 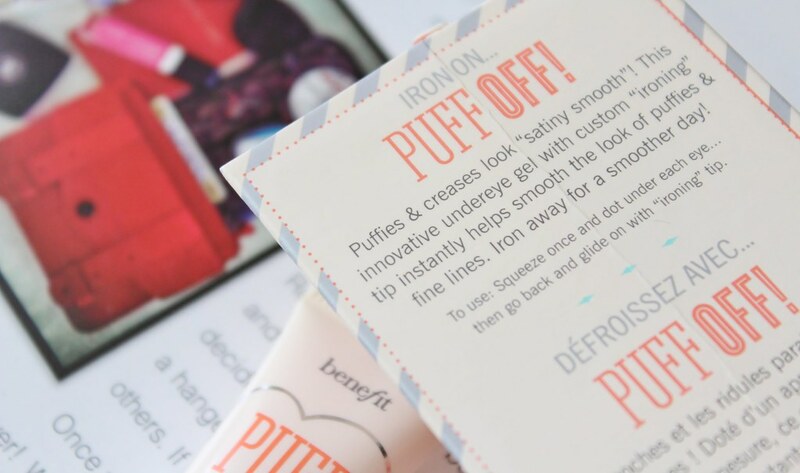 is their newest release and it's labelled as an instant eye gel to help smooth the look of puffs and lines. The way in which it aims to achieve this is with it's cute little iron shaped tip which applies the product to the delicate eye area. This tip is SO cold when you place it on the under eye and it is amazing for application in the mornings when you want to wake up tired eyes quickly. Gently, squeeze, (and I mean gently - I first applied this and ended up with the biggest blob under my eye!) 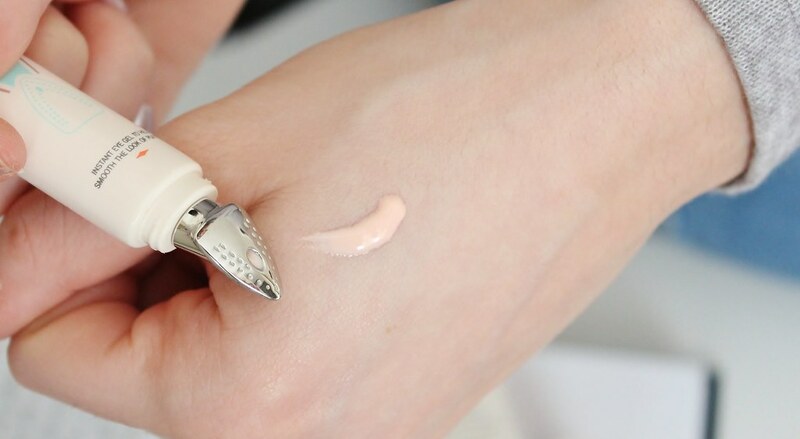 and dot the gel under the eye with the applicator, then smooth out until it sinks into the skin. You really do not need a lot at all, so I reckon this little tube will last me quite a while. 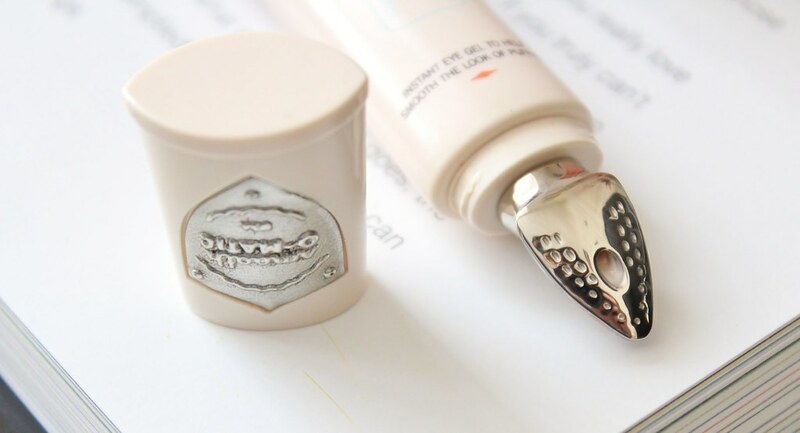 The gel itself has a translucent Peachy undertone to correct dark undertones as well as having light-reflective properties to also provide some brightness to the area. A peptide and antioxidant blend are present for aiding towards reducing that puffiness. I really like the texture of this eye gel as it's not too heavy to the point you can feel it sitting under your eye and it does provide you will a teeny bit of coverage due to the peachy shade. In a way, I'd say this product is somewhat in between a skincare and make-up product so it would be great to pair up with another eye-gel and/or concealer for perfect under-eye flawlessness. I've only been using this a week so cannot say for definite whether it has improved the appearance of my eyes but I am really enjoying using this and it really does refresh my eyes. This eye gel will be priced at, £22.50 which is cheaper than Benefit Cosmetics 'It's Potent' eye-cream and I think is quite reasonable for a decent high-end branded eye solution. The cooling sensation provided by the tip I find also lasts so long afterwards too which is a bonus! 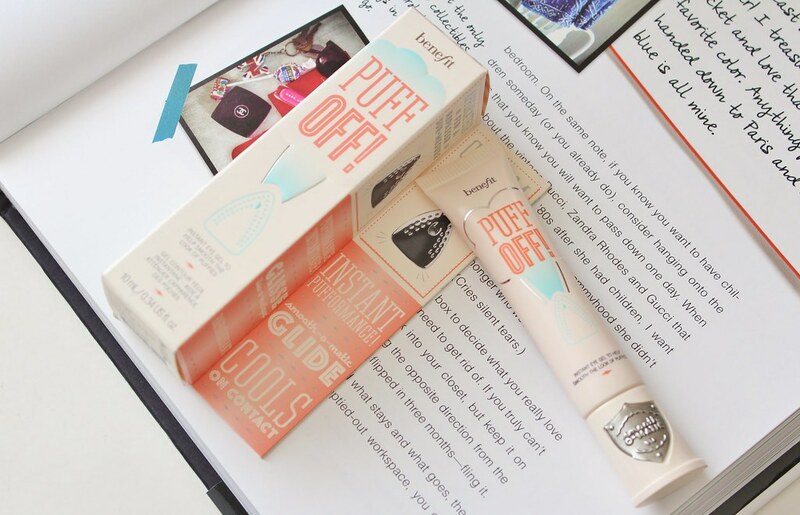 Will you be trying Benefit Cosmetics, 'Puff Off'?